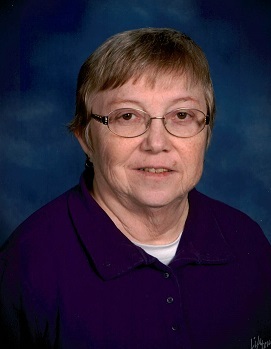 Martha Eldoris Mielke, age 74, of Waconia and formerly of Silver Lake and Winsted passed away on Thursday, April 11, 2019 at New Perspective Senior Living in Waconia. She was born on August 16, 1944 in Buffalo the daughter of Herbert L. & Esther P. (Schultz) Epple. Martha graduated from Buffalo High School in 1962. She was a farm wife for many years and worked very hard. Martha was also formerly employed at Casey’s in Glencoe and at the Pantry in Winsted. She was a companion volunteer. Martha was a long time 4H leader and also a former Silver Lake Lions member. Martha enjoyed playing bingo, called bingo too, puzzles, playing cards and telling jokes. Survived by her loving children: Brenda Mielke of Brooklyn Park, Darlene (Brian) Kolling of Greenfield and Brian (Tiffany) Mielke of St. Michael; four grandchildren: Adam (Taylor) Kolling, Sarah Kolling, Morgan & Kendall Mielke; a brother: Herman (Joni) Epple of Montrose; a sister: Clara (Harold) Iverson of Waverly, Iowa; her former husband and lifelong friend: Donald Mielke of Plato; other relatives and friends. Preceded in death her parents. A Memorial service for Martha Mielke will be held on Tuesday, April 16th at 11:00 A.M. at Faith Presbyterian Church in Silver Lake. Pastor Carol Chmielewski will officiate. Inurnment will follow at Cassel Cemetery rural Delano. A visitation will be held on Tuesday, April 16th at the church beginning at 9:00 A.M.
Urn Bearer will be Brian Mielke.